Bennetts British Superbike rookie Ryan Vickers is relishing the upcoming official test at a circuit he is familiar with, as the reigning Pirelli National Superstock 600 champion returns to Silverstone to continue his preparation for the season opener this Easter (April 19/20/21). Vickers made his test debut with Lee Hardy’s RAF Regular and Reserve Kawasaki team at Monteblanco, completing the opening three day test before completing their European test programme with the final two days at Portimao. 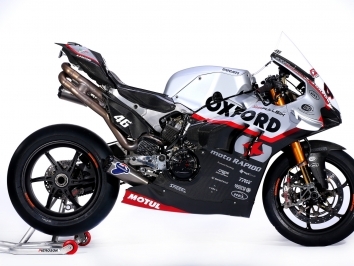 “My first test went better than expected to be honest, especially when it came to doing race runs and things like that as riding the bigger bike is much harder work and there are more things to think about,” said Vickers. “The lines and power of the Superbike has been the biggest change for me. Coming from the 600 with the wide, fast sweeping lines - the biggest difference is the lines to take to be able to put the power down on the bigger bike.